It’s the spookiest time of the year at the Village! Celebrate all things Halloween and autumn at the 24th Annual Pumpkin Festival. Admission is free! Guests are encouraged to donate non-perishable goods to the ‘˜Share the Harvest’™ Food Drive. Families can enjoy pumpkin painting and games throughout the day. A variety of crafters will sell their wares along the Village’™s shell-paved lanes. Vendors will be selling hot dogs, funnel cake, and other snacks. isit a haunted house at the Village Barn and hop on a fall hayride through the farm. Halloween Parade: lineup will begin at 10:30am with an 11am start time. Join us at the Zoo for free, family friendly activities that are planned all day long including a free magic show, free Inflatable obstacle course & slide, free candy, free kids craft stations, free Halloween costume contest AND . . . over 500 animals!! The costume contest registration begins at 10 am and the judging starts at 11 am. Awards immediately follow after short parade in the courtyard. They craft, you shop! Kids 3 and up can enjoy a quick project and take home a finished masterpiece. Sign up in store or online, or just drop in. $2 per child, supplies included. The Sea Isle City Chamber of Commerce and Revitalization will host their annual Octoberfest celebration on Saturday, October 17, at Excursion Park, JFK Boulevard and Pleasure Avenue, from 11am to 3pm. The family-friendly event will include free hayrides on the JFK Boulevard Beach, live music by the Philadelphia German Brass Band, craft and food vendors, a magic show, pumpkin painting and free children’s activities. Also, the very popular Pie-Baking Contest will take place at The Braca Cafe on JFK Boulevard. Prizes will be awarded to the bakers of the top three winning pies. To enter the Octoberfest Pie-Baking Contest, bakers must submit a completed entry form by Thursday, October 15. No entry fee is required. Only pre-registered pies will be accepted on the day of the competition. Click here for an entry form. For additional information about the Octoberfest Pie Baking Contest, phone (609) 263-8847 or email kehner@comcast.net. To learn more about all other Octoberfest activities, phone (609) 263-9090. Paint your own small pumpkin $5.00 per pumpkin/paint. Then enjoy all of the fun the farm has to offer from hayrides to animals! Don’t miss our annual Harvest Fair on the farm which includes hayrides to the pumpkin patch, kid’s games, delicious farm made foods including artisan breads, pies & cookies as well as our own produce canned in our kitchen. We have honey from our own hives & beach plum jelly made with our own fruit. Visit the more than 25 vendors with something for everyone from face painting to antiques to pork barbecue. COST: Entrance is free. Certain activities have costs associated. Welcome the changing seasons in Cape May with a visit to Beach Plum Farm’s Fall Festival. Celebrate with us on October 10, 17, 24, and 31st with family hayrides, pumpkin picking and decorating, arts and crafts, and delicious food! Sip on local brews from Cape May Brewery and enjoy a meal from our mouth-watering pig roast. While you are at the farm, take a stroll and say hello to our chickens, piglets, turkeys and ducks! Kids can enjoy our hands-on Farm-to-Kids program with a new lesson about life on the farm every week. Meet at our new, beautifully built timber-frame barn and farm stand. Explore the barn and pick up some fresh produce and eggs to take home. The Fall Festival takes place Saturdays, October 10-31st from 11am-5pm. COST: The first 30 kids in attendance will receive a free pumpkin to decorate. Bring the kids to the Mall for a ghoulishly good time at our “Pumpkin Decorating Party” Saturday, October 17. Our friends at the Jersey Shore Children’s Museum will be joining us & helping out with crafts. The first 30 kids in attendance will receive a free pumpkin to decorate. (Kids are encouraged to wear their favorite Halloween costume). Mark your calendar for Cape May’™s 32nd Halloween Parade on Sunday, October 18, 2015. The annual parade features music, entertainment, and of course, dozens of costumes from chilling to thrilling. Awards will be given in many different categories, groupings, and age ranges. Be sure to bring a sweets bag for trick or treating on the Washington Street Mall, starting at noon. Onsite parade registration starts at 1:30 PM on Perry and Washington Street, with judging beginning at 2 PM. The parade steps off at 3 PM from Perry Street and concludes at the Emlen Physick Estate. Every Friday, Saturday and Sunday evening we show movies on our blow up movie screen. Bring the family, chairs and blankets and enjoy the movie. Enjoy munchies from our snack shack! Trick or Treat! Bring the whole family to Trick or Treat at Woodland Village…don’t forget your costumes! Join us on Friday, October 23rd from 6-8p in the parking lot behind the church as we transform it into a barnyard complete with a petting zoo, pony rides, ‘Trunk or Treat’ and some great contests! Dress in your best farm-themed costume and enjoy a night with the Coastal family and the community. The 2015 Sea Isle City Halloween parade in Cape May County has something everyone can enjoy. There will be countless costumed characters that children will love seeing pass through the streets. Additionally, there will be holiday-themed floats, live musical entertainment and much much more! Join us for a fun & free trunk or treat & spooky walk! You’re invited to the Bouncers Halloween Bash! 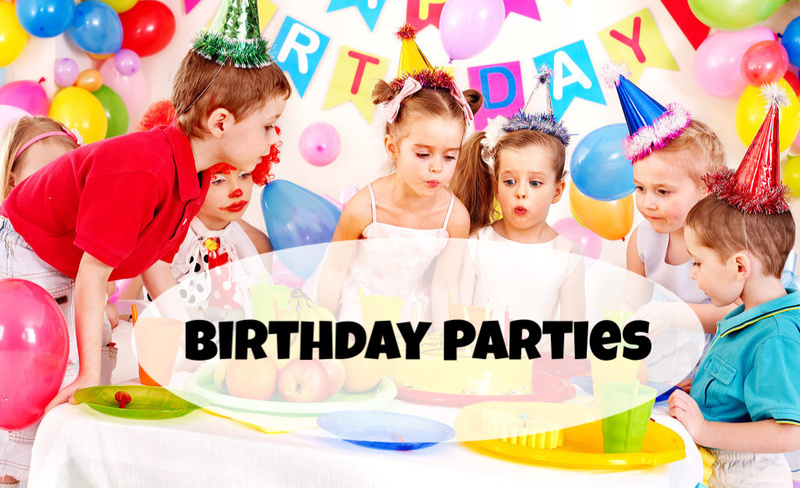 Bounce Houses, Face Painting, Character Visits, Halloween Games & a costume contest! Tony P’s Pizza & a beverage is included. Happening on the 24th & 31st! This will be a day long celebration of the old and new in Middle Township, featuring live music, games, rides, food and much more!!! Hayrides, pumpkin decorating, trick or treating in our shops, and creepy & crawly, but cute animals! Adults and children alike are welcome to celebrate the best parts of autumn with us as we take a hayride through a local pumpkin patch. We will meet at the Lower Library for a short presentation on pumpkins and other fall squash, then drive the short distance to Les Rae’s Farm at the beanery for a hay ride, after which patrons will be able to choose a pumpkin in the field to take home. All children must be accompanied by an adult, and all patrons must register beforehand. Joseph Alvarez has a Bachelor of Science Degree in Biology/Environmental Science, is a Board Member of the Friends of Cape May National Wildlife Refuge, a founding member of the Cape May County Beach Plum Association, and is active in many county and agricultural programs in South Jersey. Sweet Potatoes are getting a lot of good press these days- they are after all, a super food packed with tons of vitamins and nutrition. Plus, they’re sweet! Kids will learn all about this good root vegetable that’s good for you while digging up their very own sweet potato to take home. Join us during the Fall Festival for exciting lessons about life on the Farm. Each week, our farm hand Shayla will teach future farmers about our livestock, vegetables, and how Beach Plum Farm stays sustainable. Meet at the Barn at 1pm for an hour long lesson with hands on farm experience! Come each week to be awarded your future farmer certificate on October 31st. If you love playing with your puppy and dressing them up, this is the event for you! This event is hosted by Paw Dazzle, a shoppe in the Village Green that caters to animals. Last years Costume Pet Parade had over 103 pets registered! There were so many furry fellows in the village that they had to halt registration. Here at Smithville, we are always amazed by the imaginations that each pet owners has. We are looking forward to what each pet is dressed as this year and we hope to see you here! 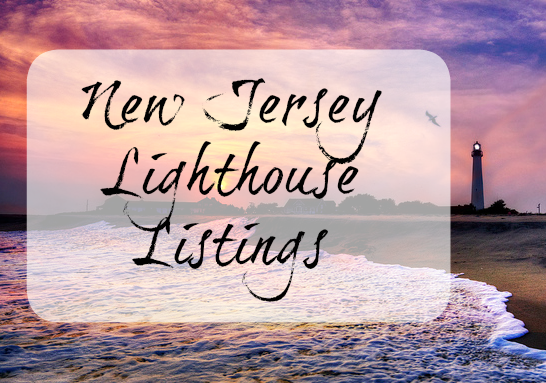 Join us for a fun haunted lighthouse tour! Tours start at 5:00pm, 6:00 pm, 7:00pm, & 8:00pm. The Annual Island Pumpkin Fest will be held at Fox Park and on the Wildwoods Beach from 10 a.m. to 4 p.m. Craft and food vendors, a bounce house, costume contest and FREE live entertainment will take place in Fox Park, located directly across from the Wildwoods Convention Center. A hay ride will start on the beach at Andrews Avenue and go to the Great Pumpkin Patch on the beach behind the Wildwoods Convention Center. Fee for hay rides are $7 for children and $3 for parents. For additional information call 609.374.6213. Middle Twp. Rec Dept. Halloween Dept. 7:15pm on Asbury Ave. from 6th – 11th Street. Sponsored by the Ocean City Exchange Club. For more information call 609-399-6111. Don’t forget to bring your beach chairs and blankets. Trick-or-treaters walk through a “haunted house” and receive treats at the Elks Lodge, 109 West 1st Avenue, in North Wildwood from 5 p.m. – 8 p.m. Free! For more info, call 609.729.2170.